TenneT uses the Safety Culture Ladder (SCL) as a tool to increase safety awareness and enhance safety culture. Not only within our own organisation but also for our contractors. The Safety Culture Ladder is a requirement in a tender as described in the 'Safety by Contractor Management' program. Besides the Safety Culture Ladder-certification, TenneT stimulates contractors to acquire and fill out the Self-Assessment Questionnaire (SAQ) and/or to execute a Reference Audit (SAQ+). The Safety Culture Ladder is hosted by the NEN. The NEN is the Dutch standardisation institute. TenneT forms a partnership with the NEN for further development of the Safety Culture Ladder (internationally). Therefor all material can be found on the website hosted by the NEN: safetycultureladder.org. In case of questions, please contact us via safety(at)tennet.eu or use the form below. TenneT now has an online Safety Community Platform on which we can share knowledge and ideas and have lively discussions on Safety. On the platform you can also find information about the Safety Culture Ladder, Safety Performance and statistics. As Partners in Safety we can continuously learn from each other. You will receive an email with login information that will give you access to the platform. It is of course possible to register not only yourself, but all colleagues within your company for whom you think it is valuable to have access to the TenneT Safety Community Platform. There are several methods other than the Safety Culture Ladder to map safety culture. What is the reason for choosing this method? In our market consultation we have encountered several methods. Unfortunately, these methods were mostly based on only performing a self-assessment. The beauty of the SCL system is that it is a comprehensive system. A transparent assessment system has been developed, the audits are carried out by accredited audit organizations (objective and non-discriminatory) and it also offers a development perspective, it is a growth model. TenneT is a contracting authority, which means that we have to make our purchases by obeying the principles of transparency, objectivity and non-discriminatory. The SCL system fulfils these requirements, which allows TenneT to use the SCL as a purchasing tool. TenneT is also open for alternative methods, as long as they fit, in general terms, the same principles as the SCL. An important element is that the alternative method should be audit based. How did your suppliers react to a requirement that you haven’t reached yourself. How did you deal with that fact? Actually we did not receive any of such signals. Many suppliers appreciated that TenneT is working on SCL certification as well. Next to that we started a pilot project together with four of our suppliers (two Dutch based and two German based), to learn about the SCL standard itself and the process of getting certified. We also think that many of our suppliers saw the potential of the SCL certification for their own organisation, and approached our initiative positively. Culture is developed over time and on day by day basis. Why does TenneT think culture can be certified at all? We also do think that cultural change is not fixed overnight. However, it are the day to day actions that ultimately make a culture. A strong point of SCL certification is that a vast number of interviews are being held throughout all levels of the organisation. When there is a consistency in these stories, this provides a good indicator of existing safety culture. Certification is not a guarantee, but provides a comprehensive picture of the maturity on safety awareness within the organisation. Do we really need yet another standard to measure safety? Our opinion is that we only need a new method if it adds something new. 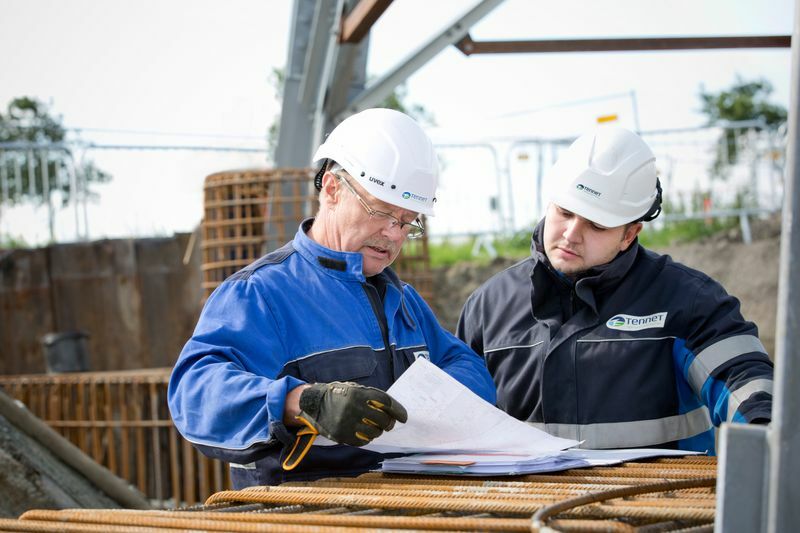 A distinctive element of the SCL is that it is certified by independent auditors, and that fits the goal for TenneT to apply the SCL as an objective instrument in our procurement process. TenneT expects a shift in the future from the traditional management system certification to an assessment of behaviour and attitude (cultural approach). The SCL is an example of the latter. How do you reward suppliers? Why the safety culture ladder if we are already OHSAS18001 certified? We see the SCL as an addition to OHSAS18001 and the other way round. Where OHSAS 18001 has its basis in systems and processes, the SCL has that on the actual attitude and behavior. SCL measures the effectiveness of the management system, as it were. Is your program similar to the IIF (Incident and Injury-Free) program which is known in the Oil and Gas sector? There are similarities, but both initiatives have a different focus. The SCL is not a program as such, but primarily measures the culture of an organisation. The culture can be changed by many "intervention / development" programs, like IIF for example. The IIF program could be an example of how an organisation trains its leaders, reflecting in the aspect "Leadership and Involvement", which is part of the SCL. How long does it take to get certified to SCL? This heavily depends on the existing safety culture. A transition from level 2 to level 3 roughly takes in between 12 till 18 months. This heavily depends on a number of factors that influences this timeline such as the actual safety awareness, size of the organisation and the type of SCL requirement needed (full SCL certification or a SAQ+ statement (reflecting 40% of full SCL certification)) and available resources for this improvement process. What suggestions do you have to enable the industry to join forces for a joined safety culture? There are multiple ways to do so. A starting point is to work on getting to know all the actors in the supply chain. To reach out to each other and work on trust and exchange information. This can be done by setting up effective communication with your peers, within your supply chain, or in projects, etc. The communication method should be accommodated to the situation. Starting with sharing information on incidents and lessons learned, to align operational SHE requirements or to work on safety by design approaches. This takes time, but ultimately this is a prerequisite to have a safe supply chain.